of the value each one provides. Headlines every Saturday at noon. 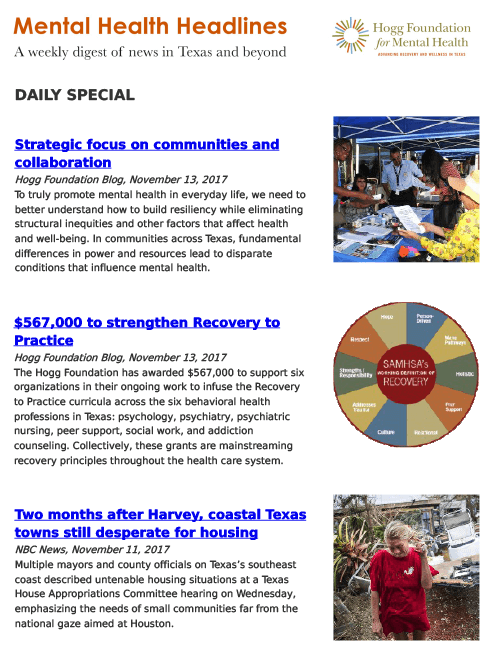 mental health news and stories.